Residents pay tax only on Lebanese-sourced income and foreign-sourced income from movable capital. Married couples are taxed separately and there is no option to elect for joint taxation. 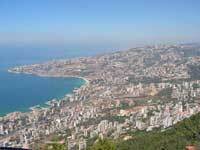 There are three categories of income in Lebanon and each category is taxed separately. Business income and employment income are taxed at progressive rates; a different set of tax bands and tax rates apply to business income and employment income. Business income are those income derived from industrial, commercial and professional activities; includes royalties, and income from the exercise of liberal professions. Income from movable capital; interest, dividends, and directors´ fees paid out of profits. Income from this category is taxed at a flat rate of 10%. Rental income is taxed at progressive rates. Income-generating expenses are all deductible when computing for the taxable income. Deductible expenses include depreciation costs (depreciation of the building is deductible up to 5% of the rent), expenses incurred by the landlord such as management costs and charges (up to 5% of the rent) and maintenance costs. Capital gains tax is levied at a flat rate of 10%. Acquisition costs and improvement costs are deductible when calculating taxable gains. Income and capital gains realized by corporations are taxed at a flat rate of 17%. Income-generating expenses are all deductible from the gross income. Capital gains realized by companies are taxed at a flat rate of 15%. Acquisition costs and improvement costs are deductible when calculating taxable gains.